Create an elevator that would hold weight. Anyway, as the test class worked on this we discovered that the box was too deep and they had trouble creating things inside it. So, I cut them in half! Next problem was creating the elevator- it had to have a crank mechanism and a platform to support the weight of the pumpkin. Above, you can see how a team solved the problem of the crank, but let's talk about the pumpkins first. When I started working on these challenges I was planning on buying those little pumpkins you see around Halloween time. These are the pumpkins (or gourds) I eventually found and you can see how small they are by looking at the apple. However, I couldn't find these when we were testing this challenge. Instead, we used those plastic pumpkins in the photo above. Those are actually drink bottles from the dollar store and I filled them with sand to make them heavier. We also tried some black "witches kettles" filled with candy corn. Anyway, back to the elevators! Students made great little platforms with craft sticks and straws and their cranking systems were so creative. Many of them wanted to just have a winding-up system, but the task rules required having a handle to turn the crank. Kids had the most fun using dollar store Halloween decorations to design the Haunted Houses! My younger students made mazes and we called these Haunted House Mazes. Again, I had to go searching for the perfect boxes for this! Remember, all those copy paper boxes I borrowed? Well, the Elevators used the box and these mazes used the box lids! Perfect! Until I needed more lids. That is when I discovered that a soft drink "flat" is the perfect size for a maze. A "flat" is the cardboard box that a case of soft drinks uses. Another box you can try is a gift box. We used craft sticks and a lot of white glue to create our maze paths and a ton of Halloween decorations to create the Haunted House look. The ball going through our mazes is a plastic eyeball I also found at the dollar store. I think all kids love building catapult systems. I have several different versions of a device propelling something. This one launched a candy pumpkin. 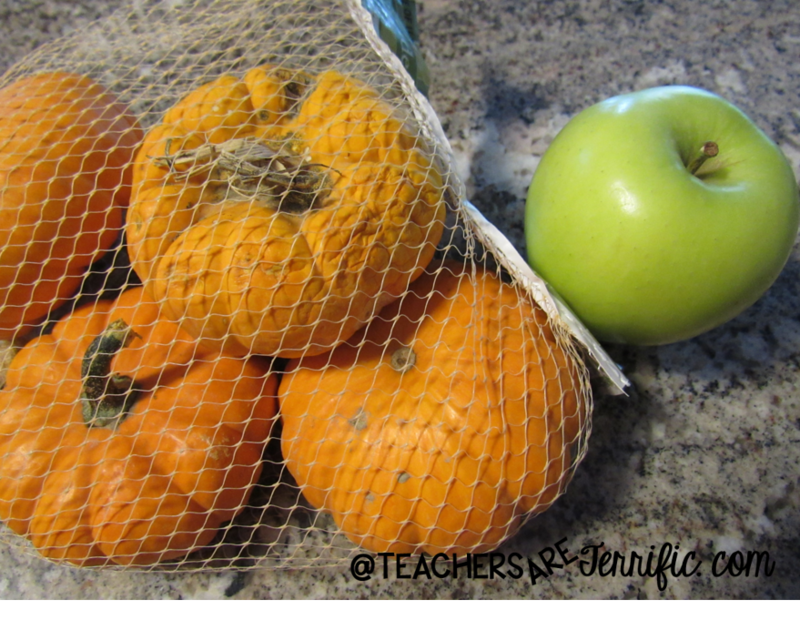 The materials were things I already had in my cabinets- just basic craft items and kids had to build a device to make that pumpkin sail. We set up foam cups to knock down and they had a blast. 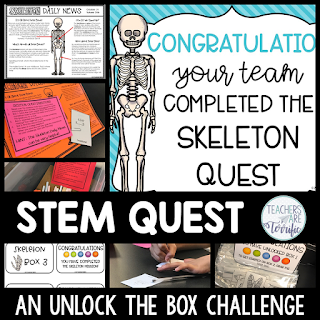 All three Halloween Challenges are part of a bundle at my Teachers Pay Teachers store and you can find them right >>>>HERE!